Are you ready to get inspired by the latest gents kurta designs for Eid 2019? No one loves to wear the same old kurta design every time. For that reason, every year Eid brings you the new and up-to-date fashion trends for men. 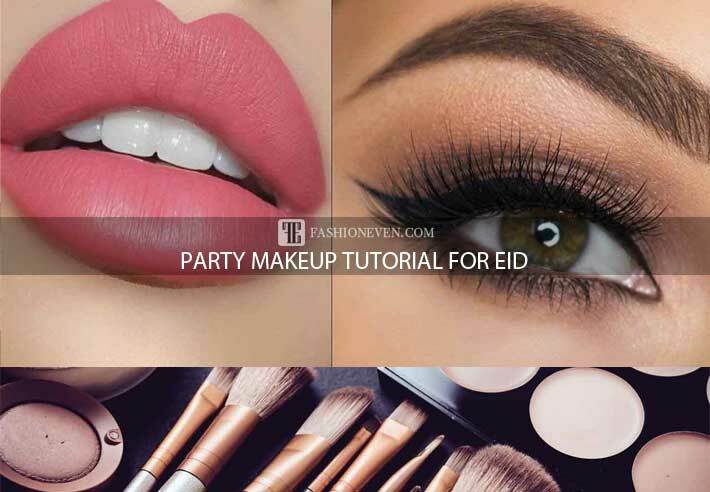 Do you want to offer Eid prayer with a touch of decency and elegance? Which kurta color do you want to buy this time? A Black, white, brown, blue, grey or maroon? This article will stick to the new collection of gents kurta designs for Eid namaz. Scroll down to see the kurta designs with images and choose your favorite one to stand out from the crowd. 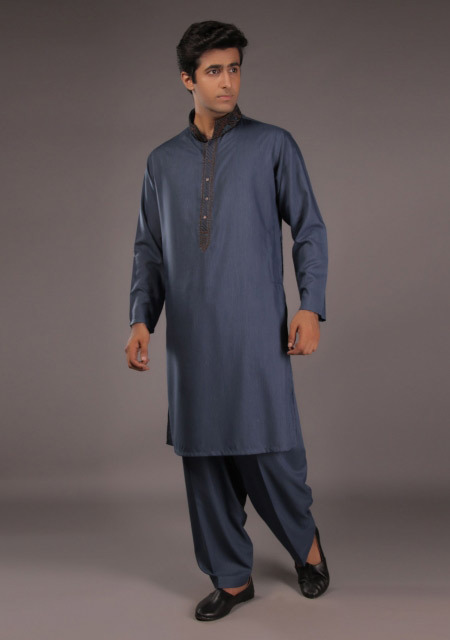 After you will see the new styles of gents kurta designs for Eid, you will definitely won’t need to search for more! I promise. Pick your desired gents shalwar kameez design from below, grab it from your nearest outlet and become the most stylish one in your surroundings. 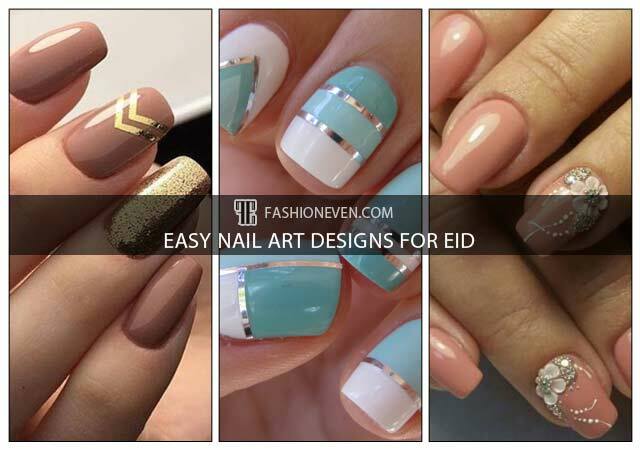 Get ready to become a style statement for others throughout this Eid season and make the world follow you! Today you will see a wide range of single and doubled collar styles, regular-fit, slim-fit and smart-fit kurta designs that come with intricate embroidery work on collars, shoulders, cuffs and front pleat of kurta. Be the trendsetter with these elegant and stylish gents kurta designs for Eid namaz. Whenever you walk into Mosque (Masjid – a house of prayer), you certainly need to be dressed up neat and groovy yet decent. 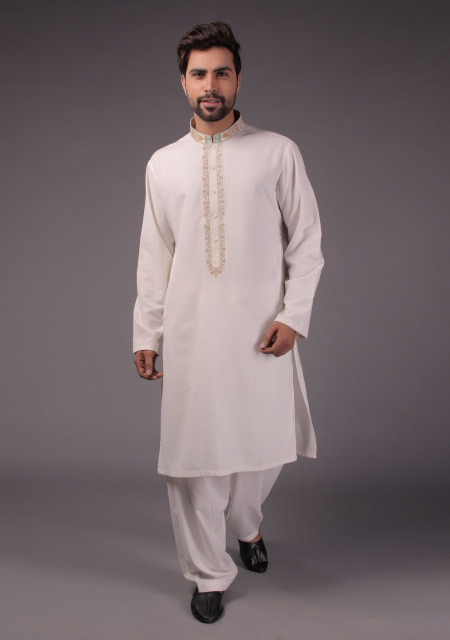 For that reason, you may opt for the white, black or brown kurta design. Your kurta shalwar for namaz requires to be comfy and providing relief while you offer prayer. For the sake of your convenience, all of these latest gents kurta stitching styles are suitable for you. Little bit touch of embroidery on neckline, collar and cuffs will enhance the glamour of your overall apparel. After you have seen the kurta designs for Ramadan, now it’s time to check out the kurta designs for Eid namaz! 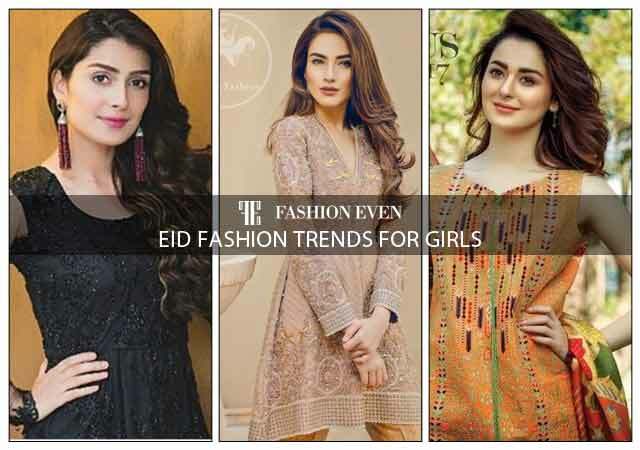 Let’s have a look at the most sought-after Eid kurta collection 2019! 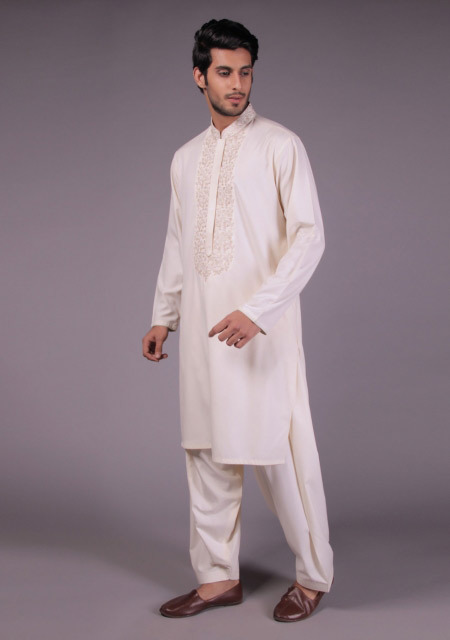 Offer your Eid prayer in white kurta! As the holy month of Ramadan has almost ended and Eid festival is just a few days to go, you must have to make a selection of your dress from a number of available gents kurta designs for Eid namaz. 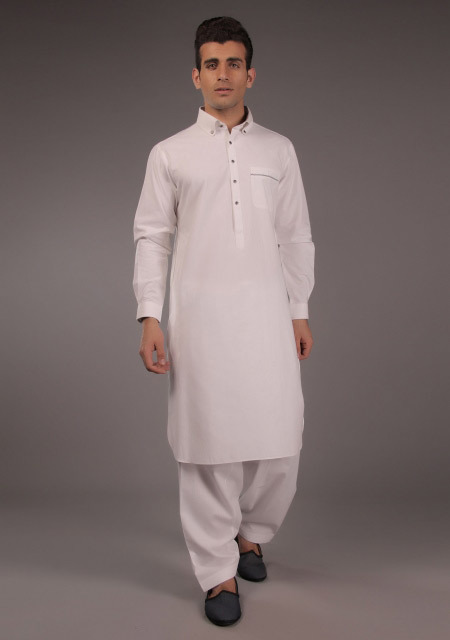 White kurta designs always look ravishing and exhibit the elegance to grab the attention of everyone around you. Some of these white shalwar kameez designs are simple that barely have any button embellishment or side pockets. 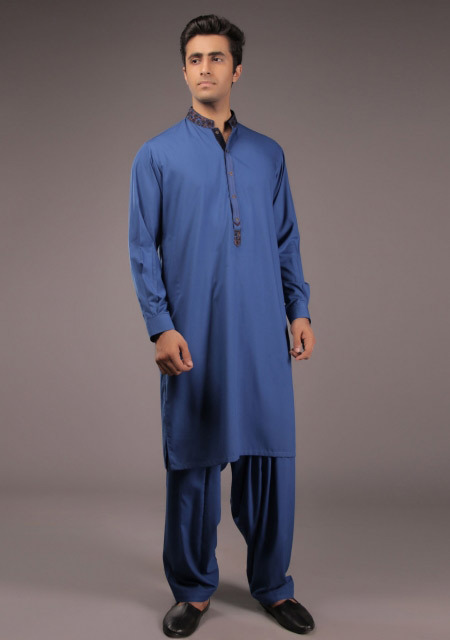 On the other hand, rest of the men’s shalwar kameez collar designs are full of intricate and refined quality embroidery that makes these men dresses more graceful. Eid prayers, also known as Salat al-Eid and Salat al-Eidain, is the special prayer offered to commemorate two Islamic festivals. Both the Eids are collectively known as Eidain in the Arabic language. Do you want to know what’s trendy about mehndi kurta designs? Check out the latest mehndi kurta designs and get inspired from! One of the frequently experienced and fully known Eid kurta colors is none other than the black! Black is the color that always looks classic whether it’s about formal, semi-formal or casual dressing. Whenever you are confused about which color to wear, GO BLACK! Here I have gathered the most stylish black kurta designs for men to try this season. Check out the new styles of splendid kurta designs that can earn lots of compliments for you. 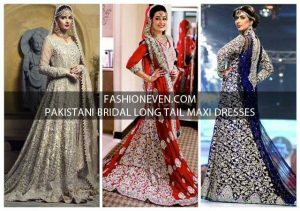 Look sober yet voguish by wearing any of these latest eid dresses. Use of prime quality fabric, perfect stitching style and elaborate embroidery is significantly eye-catching and captivating. 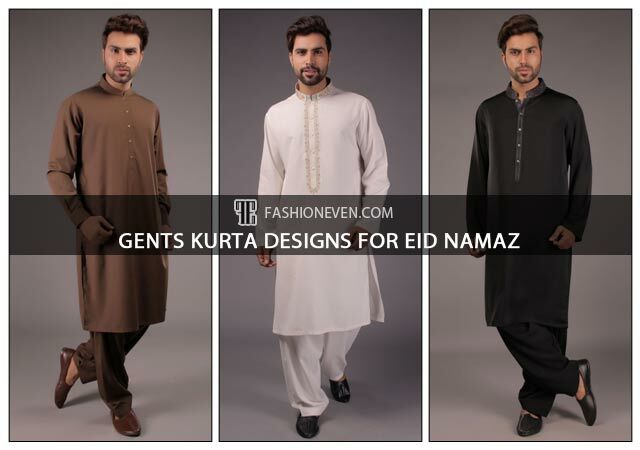 Let’s have a look at the new styles of gents kurta designs for Eid namaz! Do you know that renowned Pakistani fashion designer Amir Adnan has also launched the exclusive Eid collection for men? If not yet, then you must go for the Amir Adnan kurta designs. Do you want to look smart yet sober? Pick out a brown kurta design for you! Enhance the alluring beauty and charm of your overall appearance by wearing this most elegant hue from the palette. Choose your latest kurta design and be the sunshine of everyone’s eyes this Eid. Have you seen the new styles of Junaid Jamshed kurta designs? Do you want to see more attractive colors of kurta designs? Latest images gallery from the assortment of Pakistani men kurta designs (shown below) is a glimpse of this collection for you. Here you will find the captivating hues from soft to vibrant that will surely leave everyone awe-inspiring. Let’s have a look at the Pakistani gents kurta designs for Eid namaz! I hope you loved the new styles of gents kurta designs for Eid namaz. Offer your Eid prayer by wearing the most elegant and sober kurta style this time and influence everyone. Do you love to wear kurta pyjama instead of kurta shalwar? Must check out the latest gents kurta pajama designs and choose your favorite one! Have you seen the latest waistcoat with kurta pajama? You may shop online your kurta dress by visiting the official websites or rush to your nearest stores to grab it now. If you are interested to know the kurta prices then feel free to contact us or comment below.